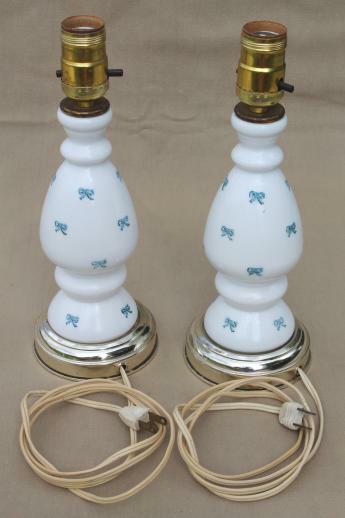 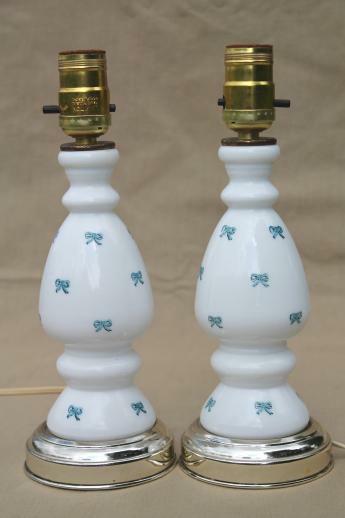 Pair of mid-century vintage milk glass lamps with painted blue ribbon bows, so sweet! 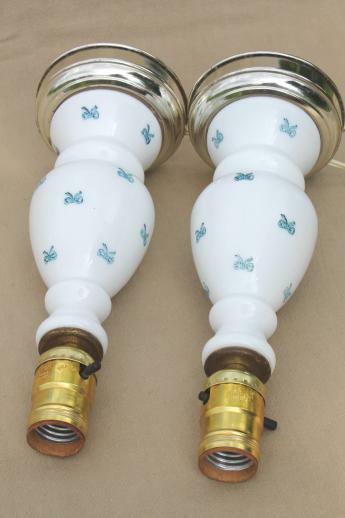 These are 11 1/2" tall to the top of the light bulb sockets, and designs to hold clip on shades (the type of lamp shades that clip on a light bulb). 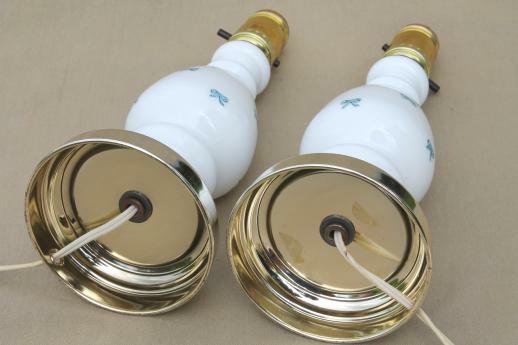 Both lamps work well, and the glass lamp bodies look very good. 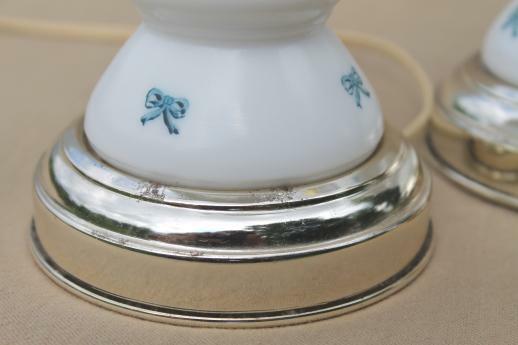 There's just a little spotting to the metal lamp bases.